This weekend 8 Limbs is hosting a workshop that I would have never imagined ten years ago. I was a yoga teacher who made adjustments without asking, because I hadn’t considered that for some, this would be invasive, or even harmful. I regularly asked folks in class to “close your eyes and go within” without considering that for some, closing their eyes in a public place would feel vulnerable, and even frightening, and for others, prolonged concentration on their body was incredibly painful – physically or emotionally. As I said in my last newsletter, I had done some bypassing of the Yama-s, the first limb of yoga. 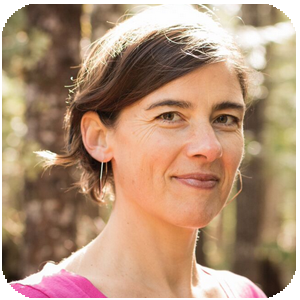 I was a yoga teacher who was not yet trauma-informed, the subject of this weekend’s workshop. I still have a lot to learn, as do many yoga teachers, in order to follow the first Yama, ahimsa (non-harming). For a long time, I wasn’t really able to connect the dots. I would quite literally go blank when the phrase “trauma-informed yoga” was introduced. Now, I am curious, especially when I don’t know what will cause harm, and what will not. I am asking folks in my yoga classes “may I put my hands on your shoulders?” and offering the option to keep their eyes open or closed. I am wondering how my own experience with trauma can create guarding and protection – and even insensitivity to others’ trauma. And I am curious about how I can make ahimsa a practice that I come to daily, like I would downward dog or ujjayi pranayama (victorious breath). Our culture is becoming more aware of trauma and how it affects our bodies and minds. We’re learning more about PTSI (Post-Traumatic Stress Injury), transgenerational trauma, and how trauma disturbs our ability to relax, to learn, to thrive. And we’re all walking around with our own varying degrees of personal trauma. 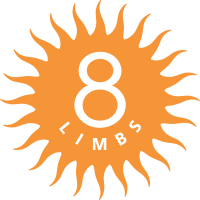 At 8 Limbs, as an organization, we are steadily increasing our awareness of what can cause harm. Our teaching staff has varying degrees of training in leading trauma-informed yoga classes and we are committed to bringing everyone to a minimum standard. The workshop we are offering this weekend, Trauma-Informed Yoga Training, is one way we hope to further this process. Our next Unpacking Whiteness series, starting Wednesday, June 6, is another. Both are open to the public. We invite you to join us.